Basically, not knowing who you are is a real thing and you are not alone on your journey to finding yourself. This time last year I was paralyzed with not knowing if I should go or stay in my relationship of 5 years. This not knowing consumed me. 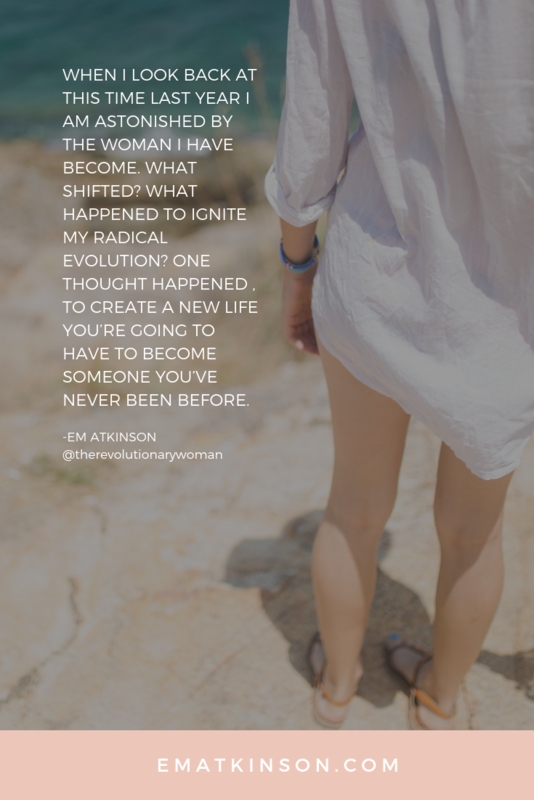 I had a vision of the woman I wanted to be and while I was partially living it, I knew I was meant for more. The Revolutionary Woman. You are her. 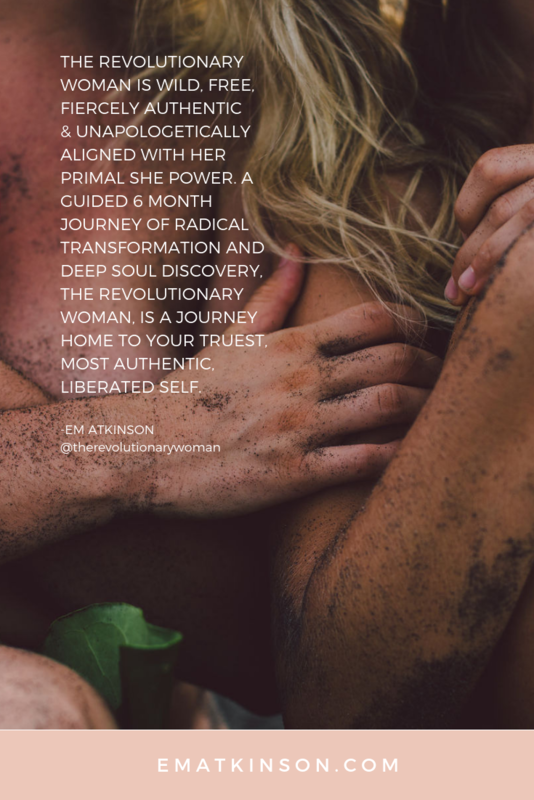 A guided 6 month journey of radical transformation and deep soul discovery, The Revolutionary Woman is a journey home to your truest, most authentic, liberated self. 3 ways to dive into self-discovery when you’ve lost touch with who you are. Lao Tzu is credited with saying, “The journey of a thousand miles must begin with a single step” and the journey of self-discovery is no different. Here are 3 steps you can to take right now. 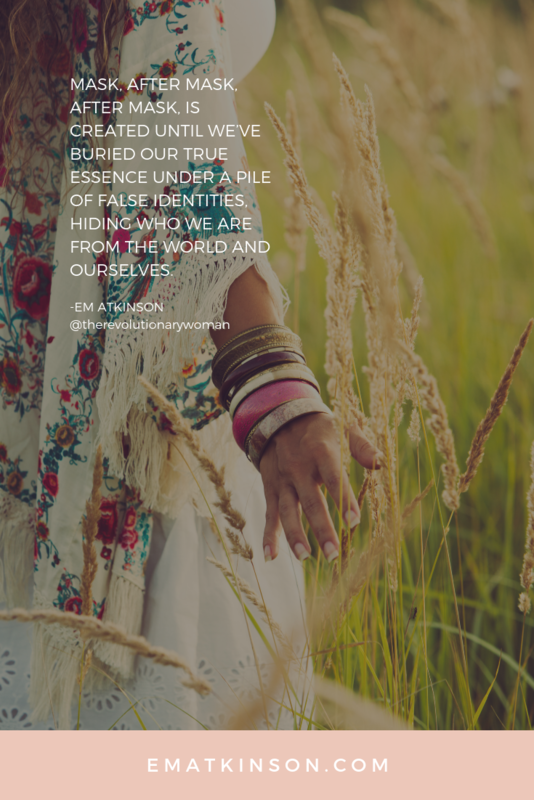 Sister, are you ready to be SEEN for who you truly are? 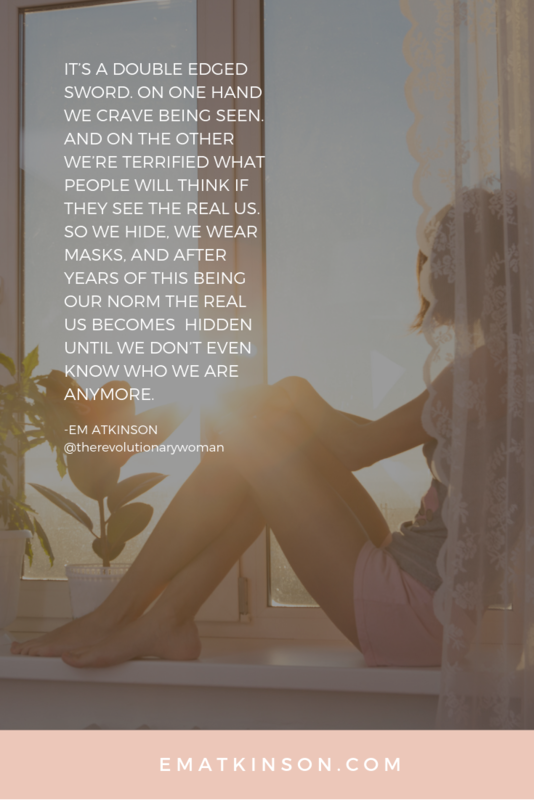 Do you show up fully as your true self – no mask – in every area of your life? Or do you wear different masks and personas for different people and circumstances? I'm Em. Sister + Seeker. Coach + Creatrix. Sun Chaser. Moon Worshiper. I'm on a mission to empower women to live with such a fierceness it awakens a revolution. 100% Privacy Guaranteed, we promise! Ignite your passion + purpose fueled life with this FREE eBook: Get Clear on Your Career! FREE eBook to help you ignite your passion + purpose fueled life and Get Clear on Your Career! 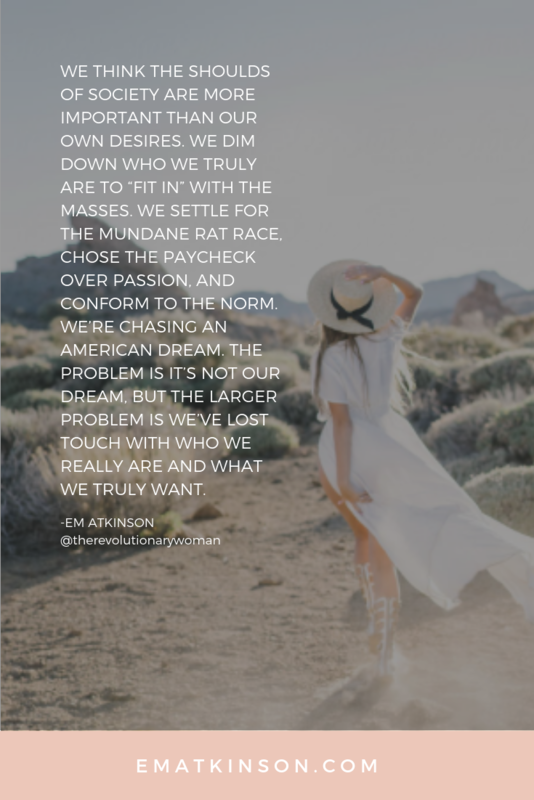 FREE Printable Manifesto to inspire you to BE HER! SHE LET GO poem by Safire Rose - FREE printable graphic! Get on the waitlist and be the first to know when the doors open!